The garden is one of the most important parts of the exterior of each property. It is the first impression a person gets when they pass by your doors. And what is more pleasant and delightful than the view of a shiny peaceful flowery garden to surround your home and the scent of freshly-cut green grass to float in the air! Best Cleaners London know the secret of how to turn your garden into a magnificent place which will attract everyone’s eyes! 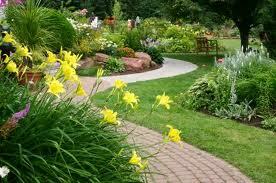 We are specialized in providing quality gardening services and aim to achieve excellent results. Our Basic Gardening Service is the one thing you need that will make your garden tidy, cozy and fresh. No matter whether you need just a spring or autumn general clean of your garden, or you would like to have a professional maintenance service performed regularly, we’re the company you’ve been looking for! We offer grass cutting, plants shaping, leaves removal, brush trimming, insects control, etc. The machines and tools we use are professional products manufactured by the leading brands on the market. Our service is efficient, professional and we can ensure your full satisfaction. Our gardening technicians are highly skilled and have years long experience in the gardening services field. They have extensive know-how and can provide you with advice on how to maintain your garden in an outstanding condition. We provide free quotes and assistance in organizing your booking. Our prices are the best in London, they are all tax inclusive and there are no additional charges for equipment. Best Cleaners London is your promise for a perfectly done job and have no equivalent for affordability of the rates and quality of the services. We can carry out our gardening service in every London area on any day of the week, including Saturdays and Sundays. Our slots are flexible, so we can make sure they will fit in your schedule without you having to change or postpone your plans. The best care you can find for your garden is our services! Call us now and have your booking or free view organized in the blink of a moment. Your garden will look in the way you have always wanted it to and will be your little paradise where you can invite friends for an outdoor tea break, let your kids play or just steal a little time for yourself to relax.